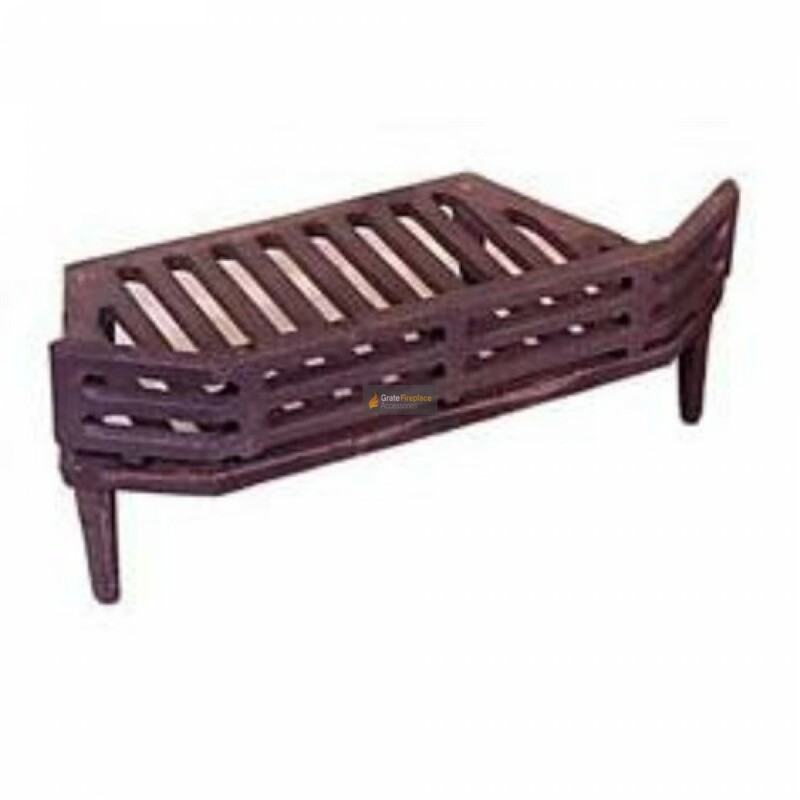 The 16 inch WW Stool fire grate is made from sturdy cast iron, suitable for burning solid fuels such as coals, logs or smokeless fuels. This fire grate has 4 legs allowing it to stand freely in the fireplace opening. Always double check the dimensions of our fire grates before purchasing in the specification tab below. Note that the size mentioned in the title of this grate may not necessarily reflect the size of the item. Please check the specifications tab for the actual size of this grate. These quality pieces are manufactured to last but always remember to start off with a small solid fuel fire to begin with to temper the metal. Don't forget to use our 'grate finder' or 'ashpan finder' tool to quickly find a grate or ashpan that will fit your requirements. How high are the legs ? What height is the grate - we have an existing 1 that is 70mm high but all advertised seem to be 100mm high. The Height of the grate is 9" and the upstand is 2"
I’d given up hope of finding a replacement grate that fitted perfectly in my old fashioned fire surround. This is great.